Natural parenting expert and mum-of-four Janey Lee Grace offers her top tips for bringing up baby the natural way. For many people the first time they become aware of holistic living is when they have their first child. Suddenly it seems really important to make the right choices around healthy food and drink, avoiding potentially toxic chemicals and even ensuring that you leave as light a footprint as possible on the planet. After all you have contributed to the next generation! A recent Mintel report showed that a 40 per cent rise in spending on organic skincare and beauty products was put down largely to ‘yummy mummies’ wanting to do their best for their offspring. I take the ‘imperfectly natural’ approach – do the bits you can but don’t stress over it. Here are my tips. It’s a no-brainer: formula milk just can’t come close to the benefits of breastfeeding both for nutritional values and for emotional bonding. If it’s difficult for you, ask for help from charities such as The Association of Breastfeeding Mothers (www.abm.me.uk). If it’s really not possible to breastfeed, or if you want to add formula milk too, then consider cup-feeding milk to your baby. It’s recommended by UNICEF as the best way to give milk to newborns, rather than a teat. However, beware of some of the non-spill cups as they contort the mouth in ways that can lead to jaw and dental problems later. Children can be quite self-regulating and if they eat very little at one meal they’ll make up for it at snack time or at the next meal, so it’s really about keeping a variety of healthy choices in the cupboard. If you can’t get your child to eat fresh fruit and vegetables you can sneakily blend them into a smoothie. Yes, disguise is the key to success! Kids love a sweet berry smoothie – they won’t know you have added in some raw organic beetroot and perhaps some carrot. You can grind linseed, hemp and sunflower seeds and add them to bread or sprinkle them over cereal. Toddlers often need small meals, little and often, so provide healthy snacks and finger foods like rice cakes and hummus, raisins or pieces of apple or pear. Steer well clear of food laden with sugar and hydrogenated vegetable oil. Switch to a sugar alternative that’s actually good for you such as organic crystallised coconut nectar. It looks and tastes exactly like brown sugar and can be used in baking or added to cereals etc. In many cultures, for generations, women have carried babies either on their back or their front in wraparound slings, so they can go about their daily business. It’s a fact – the average home is more polluted than a busy street corner. There is a rise in respiratory problems, insomnia, headaches and so on and, while not wholly to blame, the potentially toxic chemicals we spray liberally around our homes are part of the problem. Instead, stock up on some natural basics. Bicarbonate of soda can be made into a paste with water to clean most surfaces. It will polish chrome, clean vacuum flasks and baby food containers, neutralise odours, freshen carpets before vacuuming, remove stains from teapots and can even be used as a natural toothpaste. Regular table salt makes a great abrasive scouring powder and white distilled vinegar has many uses from descaling kettles to cleaning loos. Always hang on to lemons, as even when thoroughly used up you can pop them into the cutlery drawer of the dishwasher to add a bit of extra sparkle. Avoid standard air fresheners as most contain CFCs (chlorofluorocarbons) and all manner of chemicals said to increase respiratory problems and headaches. New parents often labour over getting a child lock fitted on the cleaning cupboard but I’d suggest having nothing toxic in there whatsoever! Nature has actually provided us with much of what we need, and sometimes being old-style really is the best way. According to research, it is safer to bath your baby in plain water for at least a month after he or she has been born before gradually introducing natural and organic baby products. 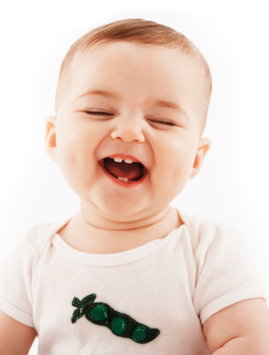 As your baby’s skin matures, it develops its own natural protective barrier. Choose products that are free from sulphates (SLS and SLES), parabens, phthalates, artificial colours and perfumes. Sophie Kirkham, 38, from London followed a natural approach when her son Freddie, now aged six, was born. She says: “It was very important to me to have a natural, drug-free birth, so I followed the hypnobirthing approach. It worked so well that I ended up training in hypnotherapy. My little boy was fully breastfed and I also discovered, from a midwife, that breast milk can be used to clean a baby’s skin. Freddie had baby acne and breast milk really helped to clear it up. For the first month I didn’t use any products to bath him – just water – and I gradually introduced a few natural and organic products when he was a bit older. Janey Lee Grace is the author of the book Imperfectly Natural Baby and Toddler and co-author, along with hypnotherapist Glenn Harrold, of the audio CDs and apps Joyful Pregnancy and Blissful Birth. For more information, visit www.imperfectlynatural.com.